Howdy weekend-ers! 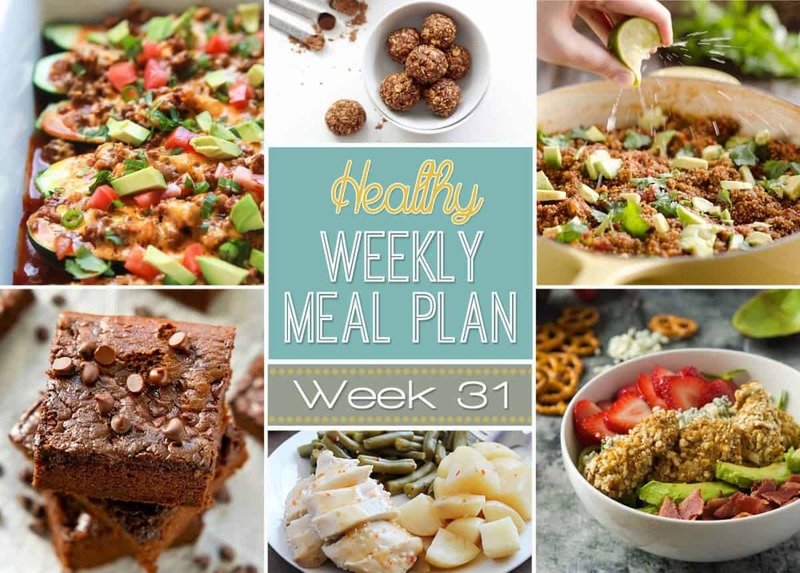 Welcome back to your weekly dose of Healthy Meal Plan! 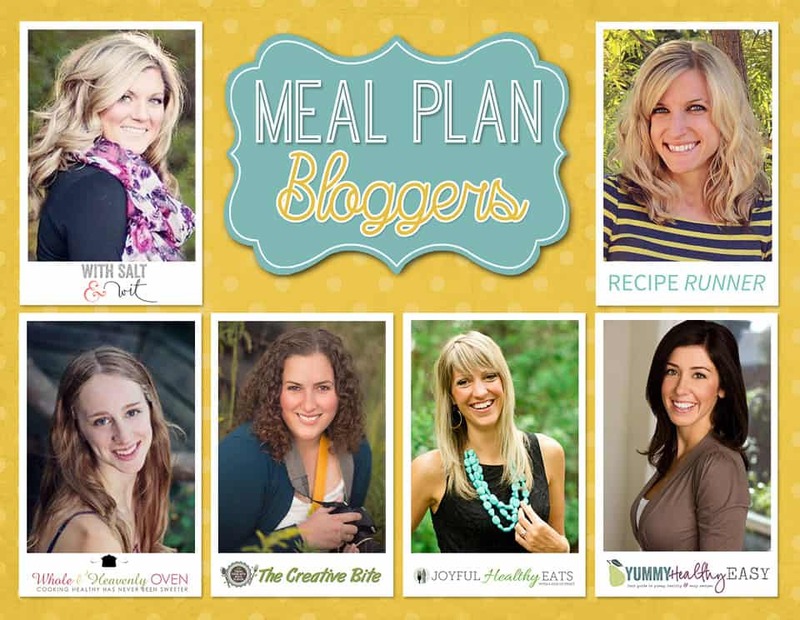 Ready to plan out a droolworthy feast for this week? Let’s get to the food! This 20-Minute Broccoli Garlic Fettuccine Alfredo is a comforting dish that comes together in only 20 minutes! A fresh spiralized salad that is slightly sweet and spicy all in the same bite! This 20-Minute Broccoli Garlic Fettuccine Alfredo will step up your dinner time salad in no time! 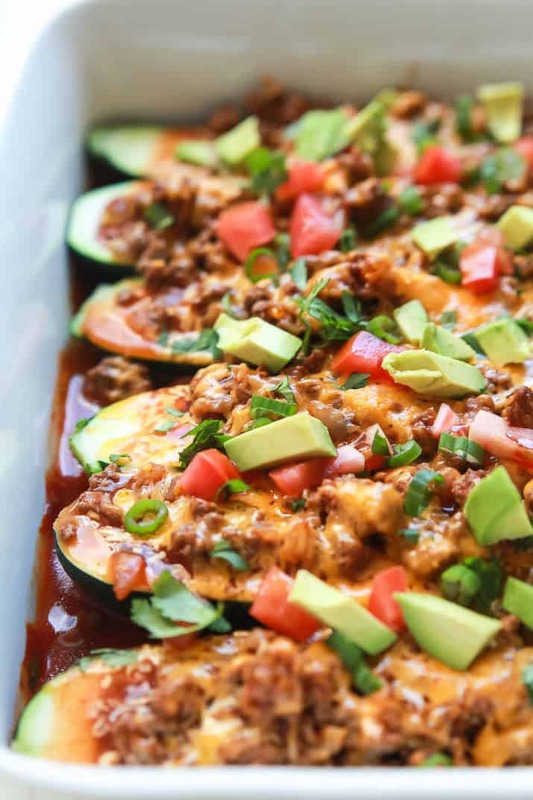 Ground Beef Enchilada Zucchini Boats are a healthy gluten free version of classic Beef Enchiladas that you’ll fall in love with! A little over 30 minutes to make but well worth it for the bold flavors and low calorie count of 222 calories a serving! If you just NEED some carbs with your meal like myself, these TwiceBaked Ranch Potato Poppers are the perfect side dish. 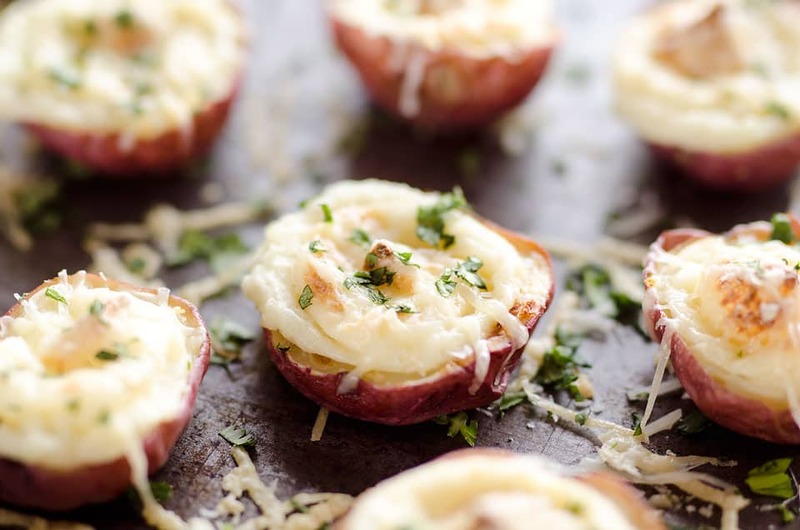 They are a crowd-pleaser with light and fluffy ranch mashed potatoes and light sour cream in a potato skin topped with shredded Parmesan for the perfect bite. 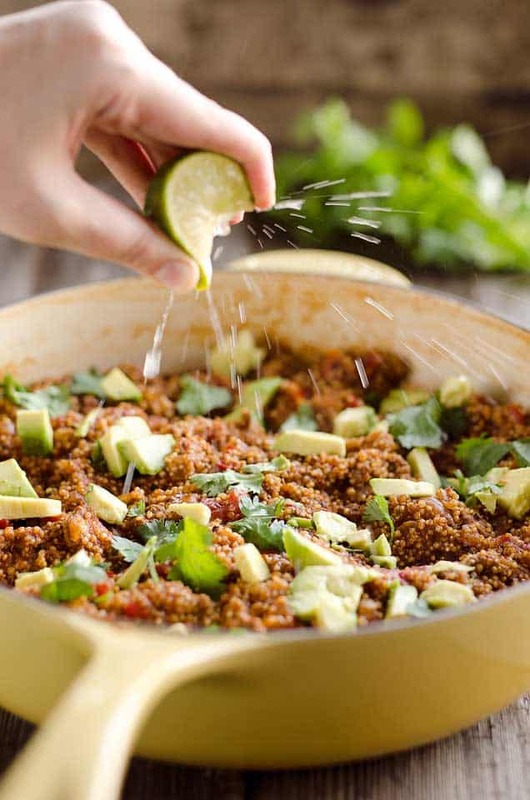 Light Taco Quinoa Skillet is a one pot dish with fresh flavors that makes an easy and healthy dinner! No-Stir Make Ahead Bran Muffins are one of my favorite breakfasts ever! Make the batter up ahead of time and refrigerate until ready to bake. No need to ever stir the batter once you’ve refrigerated! These muffins are incredibly light, fluffy, flavorful and absolutely delicious! 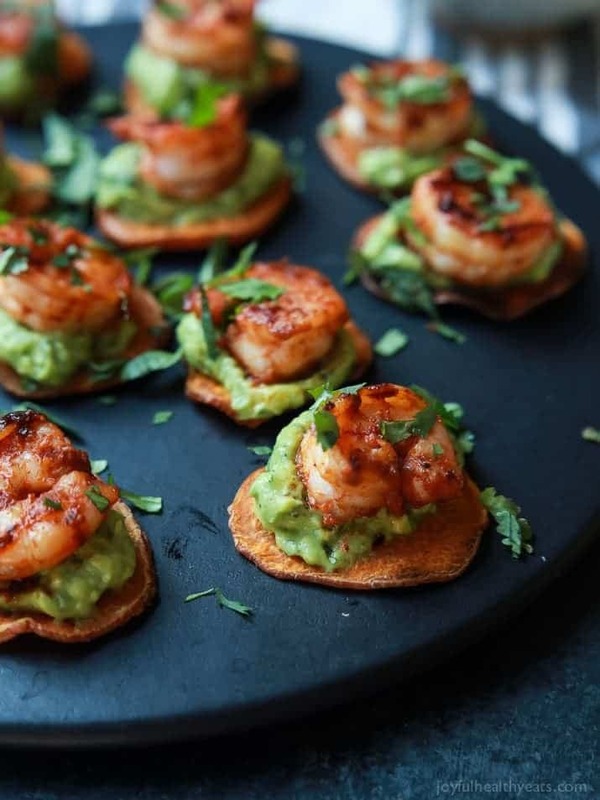 Cajun Shrimp Guacamole Bites are a light and delicious bite perfect for an easy lunch! These Chicken Bacon Ranch Mini Pizzas are an easy to make and tasty dinner or game day appetizer! Mini pizzas topped with ranch Greek yogurt dip, lots of cheese, chicken and of course bacon! Peanut Butter Mocha Energy Bites are so tasty not to mention vegan, gluten free, and the perfect combination of carbs and protein all in one little bite! Easy Baked Italian Chicken, Potatoes & Green Beans is a quick and easy dinner the whole family will love and perfect for a cozy Sunday night in! These fudgy Flourless Almond Butter Brownies whip up easily in one bowl and each brownie only contains 125 calories! They are so good you will be coming back for more!